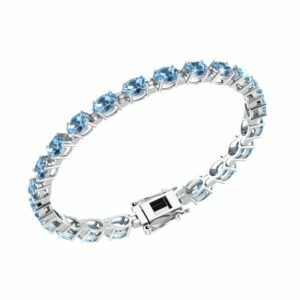 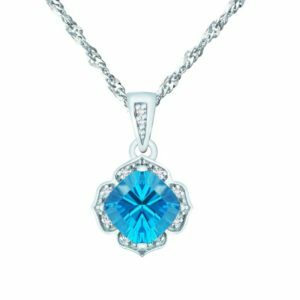 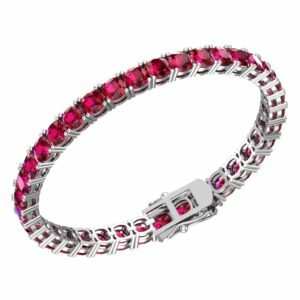 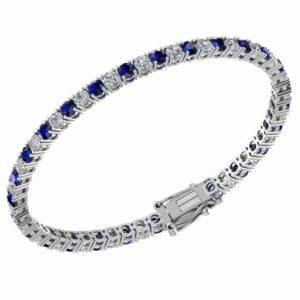 We have put our most stunning 3mm natural swiss blue topaz and 3mm natural white topaz into a bracelet to create a look that you’ll love. 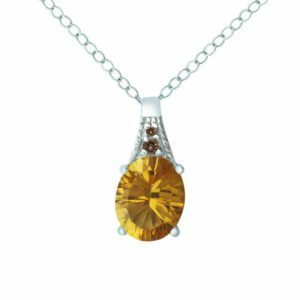 The stones alternate to create a beautiful effect. 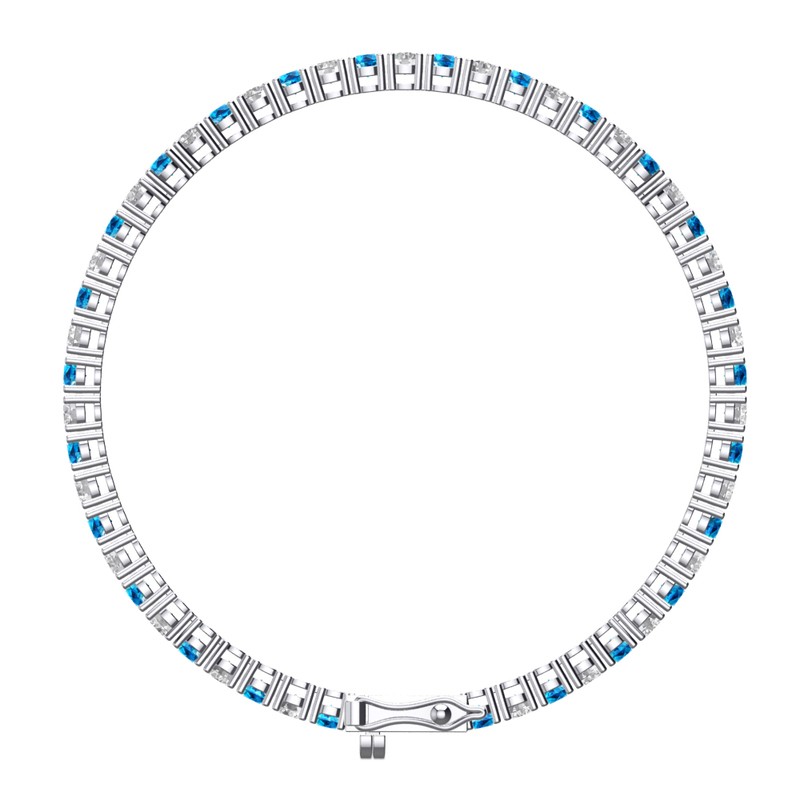 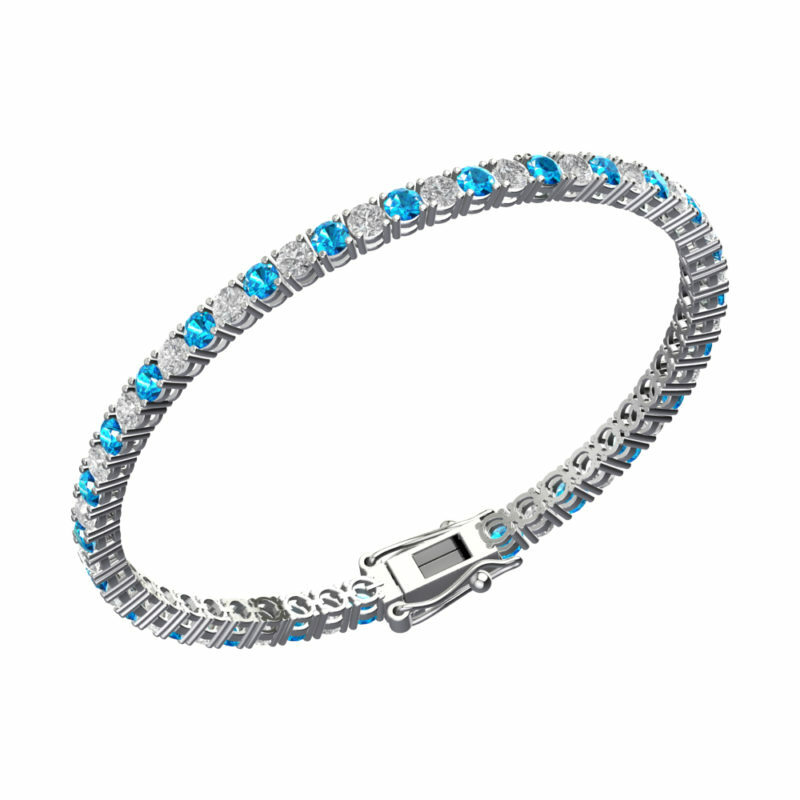 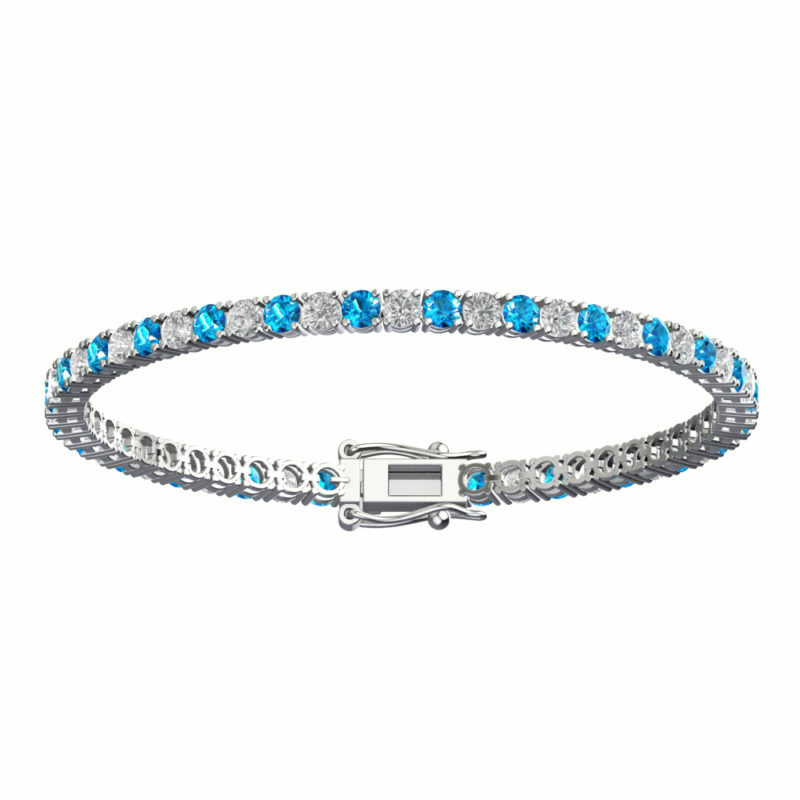 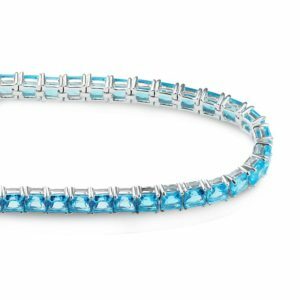 The beauty of natural swiss blue topaz and natural white topaz shines through in this lovely tennis bracelet. 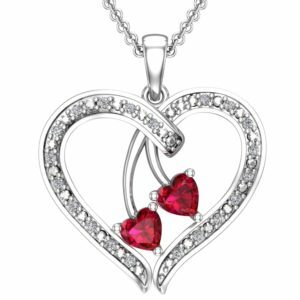 Wear it for work, or give it as a gift – any woman will love it.